This is the last post on www.islayblog.com. But don't worry, it's not the end of blogging on islayblog.com, as you only have to point your browser to new.islayblog.com now for some fresh Islay blogging. After 10 years here I've decided to make a slight change and move to a new blog building on what I've done here. With a few tweaks it will be very similar to what you're used to under a slightly changed address. PS: The comments here probably won't work any more as the service is shutting down. But you can comment on the new blog to your heart's content. Tell me and others what you think: Leave a direct comment on ‘Moving on to New.IslayBlog.com’ for all to see. Back in summer 2012 I found out that I have a bit of a dodgy heart valve. My cardiologist had been monitoring it annually since then, earlier this year he started to get slightly more concerned and I also started to notice more and more symptoms related to problems with a dodgy heart valve (including reduced energy levels). In June I had some more detailed tests and it was discovered my ‘mitral valve prolapse’ (to give it its proper name) had become severe, in addition I had developed ‘atrial fibrillation’, both of which required an operation. That operation took place in early October at the Royal Brompton Hospital in London. Nine days after my open-heart surgery I was discharged home. While my recovery is going well I'm still often quite tired and struggle to concentrate for longer periods. I'm aiming to start returning to work in early December. For more about my surgery and recovery check the heart surgery category on my personal blog. Because of this I have decided to take a break on this blog while I focus on my recovery. I'm hoping to start posting a few pictures on the Islay Pictures photoblog again over the coming weeks (it's been fairly quiet there as well), so that there is at least some new Islay stuff coming from me. Depending on how my recovery goes I'm hoping to start posting on this blog again by late December or in early 2017. I'm also aiming to be fully fit again for another Islay visit for the Islay walking week in April 2017. Hopefully see you then, either here on the blog or in person at the walking week. Tell me and others what you think: Leave a direct comment on ‘Taking a break here’ for all to see. Tell me and others what you think: Leave a direct comment on ‘Pokémon Go on Islay’ for all to see. Tell me and others what you think: Leave a direct comment on ‘Celtic Connections Islay Night video’ for all to see. 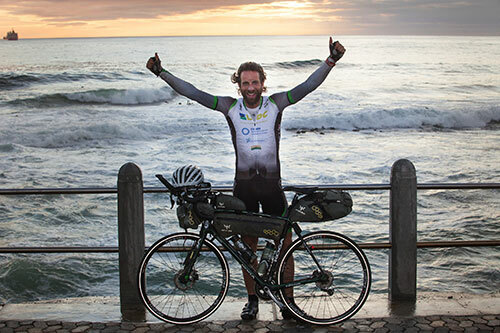 He will be running the Paps of Jura, cycling from Jura to Port Ellen, running the Three Distilleries Pathway and Kayaking Ardbeg to Port Ellen. Yes, all in one day. Part of a 12 day adventure ‘Wild About Argyll’. There should be pictures and clips throughout the day, so watch out for them. I understand there will also be a special short film commissioned by the Islay & Jura Tourism & Marketing Group filmed by three cameramen to look forward to. I think all that remains is to wish Mark (and of course all his support) a great, exciting, fabulous and successful day on Islay and Jura. Tell me and others what you think: Leave a direct comment on ‘Mark Beaumont to visit Islay and Jura’ for all to see. The event is the Heavy Flavour 2016 - Quo Vadis? 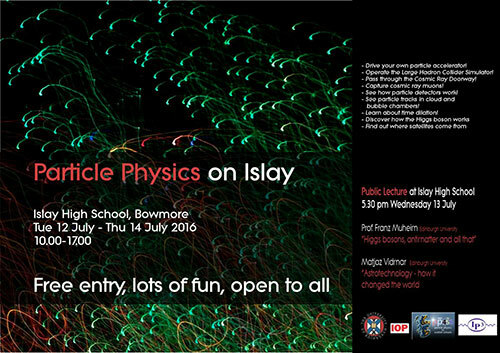 conference, taking place at Ardbeg Distillery 11-15 July. From what I understand the scientists attending the conference (it is invitation only, but keep reading, there's more to come for the rest of us) will be talking about elementary particles like Atoms, Electrons, Nuclei, Quarks and possibly more. In particular they are studying very heavy quarks, a species of quarks and hence the name ‘Heavy Flavour’. They are working closely together with the Large Hadron Collider at CERN near Geneva (Ha, I've heard of that one!) and it seems when they don't work on highly complicated maths they also enjoy a good Islay single malt whisky. 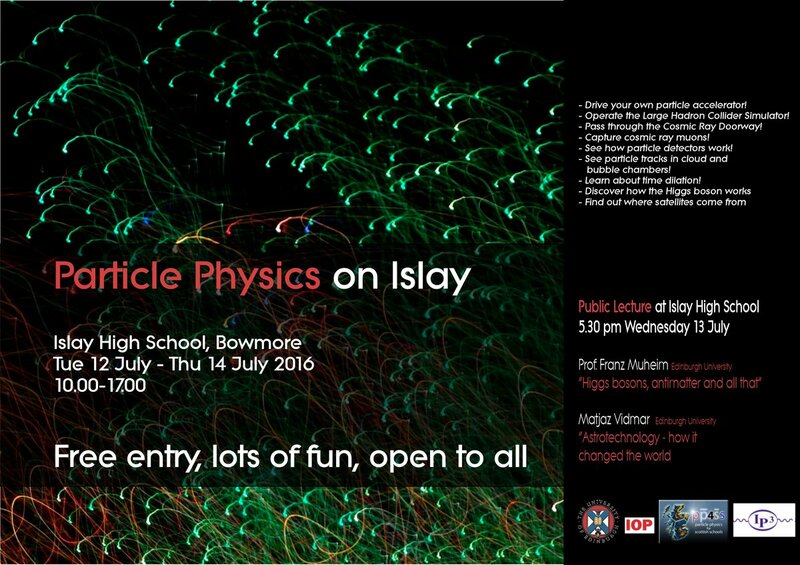 Tell me and others what you think: Leave a direct comment on ‘Heavy Flavour Particle Physics on Islay’ for all to see. 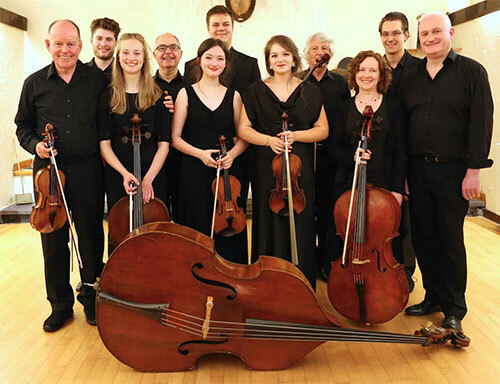 Tell me and others what you think: Leave a direct comment on ‘Cantilena Festival 2016 on Islay’ for all to see. I've spotted the ISS on Islay a number of times, on two occasions I managed to take pictures: International Space Station (ISS) passing over Kilchoman in 2015 and International Space Station (ISS) passing over Loch Indaal in 2016. Another time I watched it passing over Loch Indaal and Bowmore from the beach at Uiskentuie with friends on our way back from an evening out in Bridgend, a great end to the evening. Ideally try to be away from a place with any light pollution, but with fairly little of that on Islay anyway you should be able to spot it almost anywhere. On a clear evening look into the direction where it should appear from and you will soon spot its bright reflection racing over the sky. Happy spotting! Tell me and others what you think: Leave a direct comment on ‘How to spot the International Space Station on Islay’ for all to see. It's not the greatest picture, but it also turned out better than I had hoped, so I've decided to publish it. It was really still too light for good pictures (this is a composite picture of 38 individual pictures), but I decided to give it a go anyway when the ISS passed over Islay in April 2016. 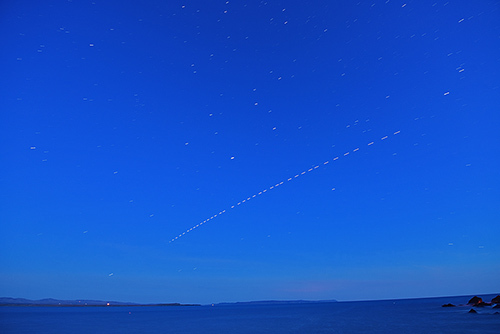 The view is south over Loch Indaal from Port Charlotte pier, the ISS was passing from right to left. Of course there's also another reason for posting this picture tonight: The ISS is passing over the UK right now. You can find the details of the June 2016 passes here. I've also come across an embedded applet provided by NASA showing the details recently, once I've understood how to embed it correctly I'll follow up with another post this weekend. As usual I will post a larger version of the picture on the Islay Pictures photoblog on Saturday morning. Until then, happy ISS spotting and have a great weekend! Tell me and others what you think: Leave a direct comment on ‘Friday Islay Picture #385 - ISS over Loch Indaal’ for all to see. Tell me and others what you think: Leave a direct comment on ‘Islay Pipe Band at the British Championships 2016’ for all to see. Read more on the About the Author and the Blog page for IslayBlog.com, in the FAQ and use the search to find pages. Older entries can be found in the archives: 2006, 2007, 2008, 2009, 2010, 2011, 2012, 2013, 2014, 2015 and 2016. Alternatively try the Favourites and Frequent Topics page for popular topics. Do you have something you would like me to blog about? Or a private comment to an entry? Send it to me through my contact form. I'll try to reply as soon as possible and if possible I'll blog about it. Alternatively just leave your comment under the respective blog entry for public debate. There are now 207 days until my next visit to Islay, planned for November 2015. Can't wait! There are now 2 days until my birthday. Yes, I'm vain. May be. If you have an Islay, Jura or Colonsay related blog and would like to be listed here please send me a note. To be informed about new entries you can subscribe to the RSS News feed for IslayBlog.com. Learn more about RSS and news feeds at the BBC's 'What is RSS?' page.